Our Casio watches from their popular Edifice watch collection are true to the brand’s signature style, whilst retaining their own exceptional look. 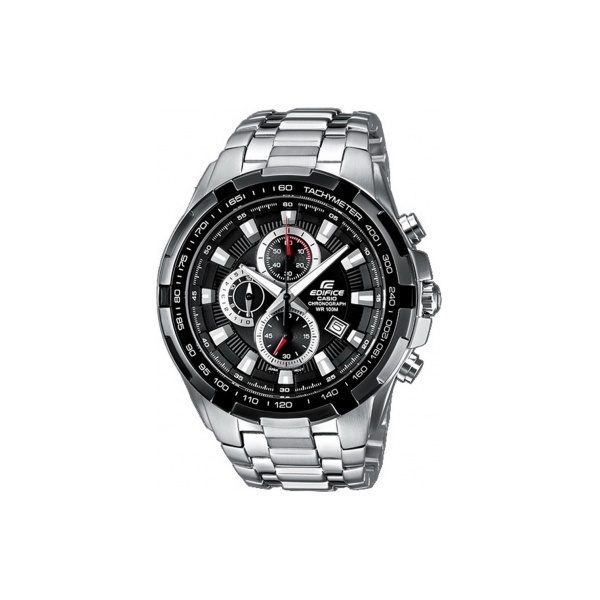 Engineered to F1 standards the Casio Edifice watches for men incorporate timeless design features with progressive detailing, such as the chronographs and alarm elements. Taking inspiration from the motorsport industry and combining intelligent functionality with sleek style, the Edifice men’s watches are ideal for those looking for a high performance watch they can rely on. Choose for contemporary rose gold plated or ice cool blue finishes or remain loyal to a classic black dial for a sophisticated accessory that you can wear everyday. All of our Casio watches come with a 2 year guarantee for peace of mind and come in an official Casio gift box. Take a look at our many other innovative men’s watches and ladies watches that offer unbridled technological benefits that are just waiting to be discovered and added to your watch collection. Whether you’re buying a watch as a gift or thinking of a safe place to store your own watch collection, take a look at our range of watch boxes for many premium storage options. Don’t forget, spend over £60 today and receive free UK delivery with your order!